Anna Wood Ragland, whose life was devoted to her family, friends, church and to community service, died Saturday, November 25, 2017 at her home. A graveside service will be held on Saturday, December 2, 2017, at 2:00 pm, at Oakwood Cemetery. A reception will be held immediately after at the Holy Trinity Church, 100 East Peace St., Raleigh. In a life filled with challenges and accomplishments, Anna Wood Ragland was acclaimed by all who knew her as a loving, caring, supportive wife, mother, grandmother, friend, and good citizen. She was a respected and admired community leader who, in her own quiet-spoken, gentle, modest manner, led by personal example. Mrs. Ragland was a loyal and faithful member of the Holy Trinity Church, and a past member of the Church of the Good Shepherd and its Altar Guild. 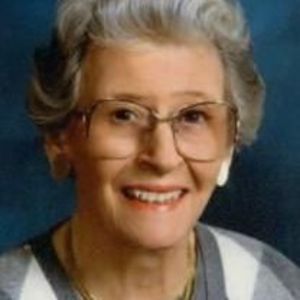 She was steadfast in her Christian beliefs and lived her life in the service of God. Anna Wood Ragland was born November 29, 1922 in Edenton, NC, the daughter of the late John Gilliam Wood, Jr. and Leila May Budlong Wood. Her brother was John Gilliam Wood, III. Growing up in Edenton, she graduated from Edenton High School, St. Mary's College in Raleigh and Randolph-Macon Woman's College in Lynchburg, VA.
After working in New York City, Anna Wood was married July 22, 1944 in Edenton to William Trent Ragland, Jr., of Raleigh, who was then serving as a Lieutenant, US Navy, in World War II. The first year of their married life was spent at Annapolis, MD, where her husband attended the Postgraduate School of the U.S. Naval Academy. Following the end of WWII, the Raglands returned to North Carolina where her husband Trent went to work for Superior Stone Company (later Martin Marietta Aggregates, Southeast Division), founded by Trent's father and uncle. So began Anna Wood Ragland's remarkable life as the wife of an active, hard-working and successful businessman in the crushed stone business for 42 years. After living in Charlotte for eight years, where they began their family, the Raglands moved to Raleigh in 1953. As husband Trent often said, Anna was always there, supporting and encouraging him, coordinating the family life, guiding and inspiring the children and doing what needed to be done for her husband and family. Whether doing routine work at home, or entertaining CEOs or other leaders of major corporations, sometimes on a moment's notice, Anna Ragland was a trusted and invaluable partner to her husband, and contributed greatly to his distinguished business career. With her eye and passion for beauty, Mrs. Ragland delighted in nothing more than improving the world around her, whether by designing new construction or arranging flowers. During years of community service, Mrs. Ragland was an active member of the Junior League of Raleigh, served as Honorary Chairman of the Debutante Ball in 1974, and served as a docent at the North Carolina Museum of Art. She supported her husband when he established the William Trent Ragland, Jr. Foundation, which has made generous contributions to many charitable and educational institutions and organizations in North Carolina and elsewhere. Mrs. Ragland enjoyed a lifetime love of Edenton and her family home, Hayes. Because of this great love, she was honored in 1999 by her husband with the establishment of the Anna Wood Ragland Library Fund at the University of North Carolina at Chapel Hill. Proceeds of the fund support the North Carolina Collection at the Wilson Library where the contents of the renowned Hayes Library are now located in a reproduction of the original Edenton Hayes library. Later in life, in addition to their home in Raleigh, Anna and Trent Ragland enjoyed a home in Roaring Gap, NC during the summer months, and a home in John's Island, FL for wintertime. As active residents in three communities, they made new friends, renewed old friendships and joined in community and club activities. Anna Ragland belonged to many clubs and organizations, including the National Society of the Colonial Dames, the Carolina Country Club, Roaring Gap Club; John's Island Club, Country Club of North Carolina, and others. Surviving Mrs. Ragland, are two daughters: Anna Ragland Hayes, Chapel Hill; Alice McKenzie Ragland and her husband, Duff McAdams, Raleigh; and a son, William Trent Ragland III, and his wife, Wes Taylor Ragland, Raleigh. There are four grandchildren: John Patrick Keenan, McKenzie Keenan Osman, Mary Suiter Ragland and William Trent Ragland IV. Also surviving are three nieces: Heide Wood Seward, Jody Ragland Darden and Betty Ragland Park, and three nephews, John Gilliam Wood IV, Edward Wood and Bill Ragland. Two great-grandchildren also survive: Guinevere Keenan and Smith Osman. The family is so very grateful for the unbounded devotion, love, and care provided by the following: Alyson Young, Emmett Furrow, Donna Rocha, Vickie Cassell, Mary Beth Bilbrey, Jane Reynolds, Carolyn Hall, Yolanda Robinson, Kelley Karns and Shirley Payne. In lieu of flowers, memorials may be made to St. Mary's School (900 Hillsborough Street, Raleigh, NC 27603), Edenton Historical Commission (505 S. Broad Street, Edenton, NC 27932), or a beneficiary of the donor's choice.